Eric William Carroll works at the intersection between photography, science, and nature. 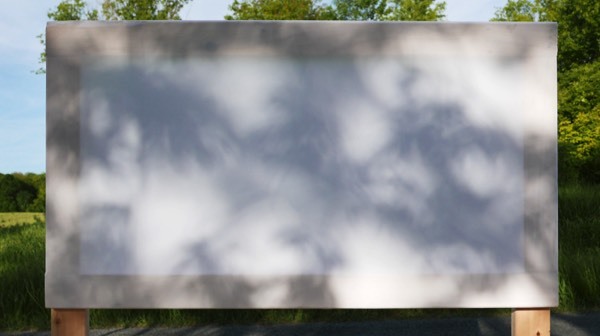 In Standing Cedars, the artist has recorded the progress of a rolling screen, hitched to the back of a truck driving through the countryside on a sunny day. The video captures the passing shadows cast by trees as they unfold in infinite variety. There is no effort made here to preserve these shadows, only the experience of them.